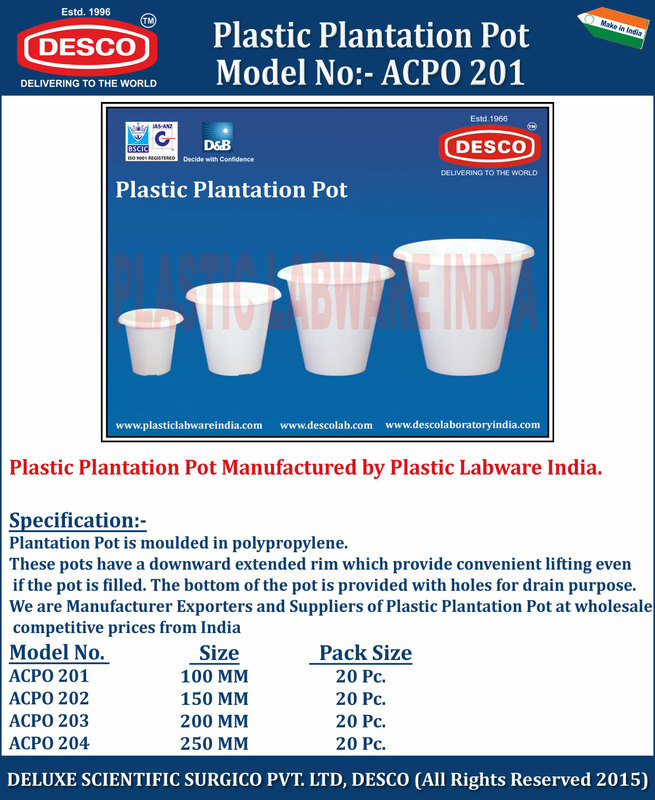 Plantation Pot is moulded in polypropylene. These pots have a downward extended rim which provide convenient lifting even if the pot is filled. The bottom of the pot is provided with holes for drain purpose. We are Manufacturer Exporters and Suppliers of Plastic Plantation Pot at wholesale competitive prices from India. ACPO 201 100 MM 20 Pc. ACPO 202 150 MM 20 Pc. ACPO 203 200 MM 20 Pc. ACPO 204 250 MM 20 Pc.